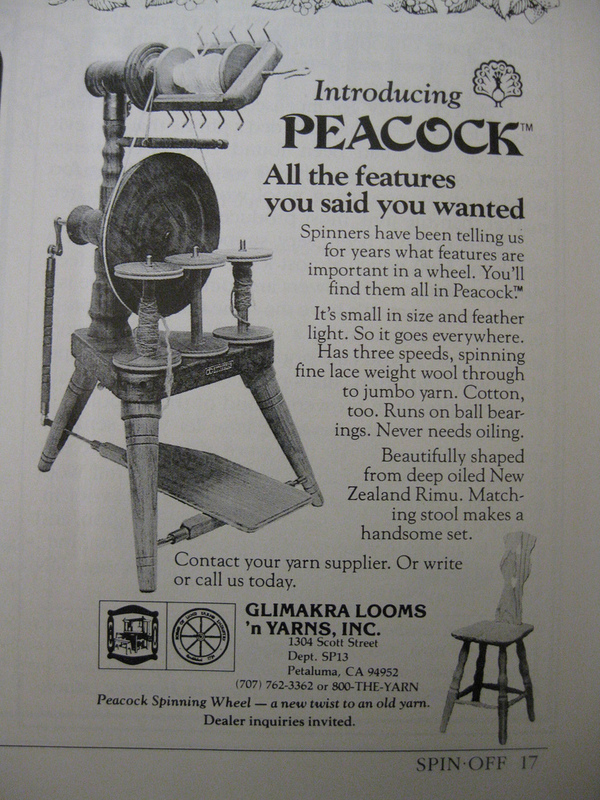 This little Peacock spinning wheel was made by Mr Fomotor in New Zealand. 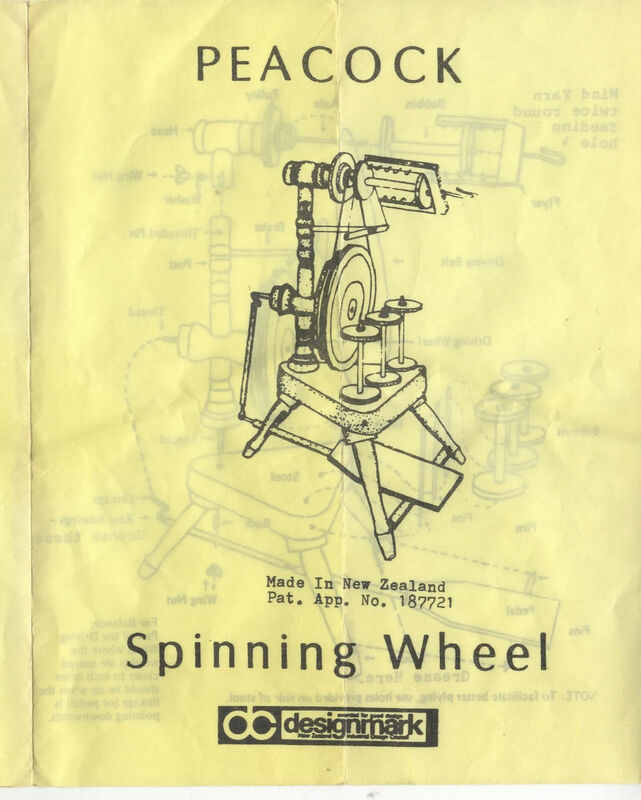 For more general information about New Zealand spinning wheels you can visit this comprehensive site dedicated to New Zealand spinning wheels and their makers. If you have information that is not contained on the site, please contact the site administrator direct (detailed on the site). 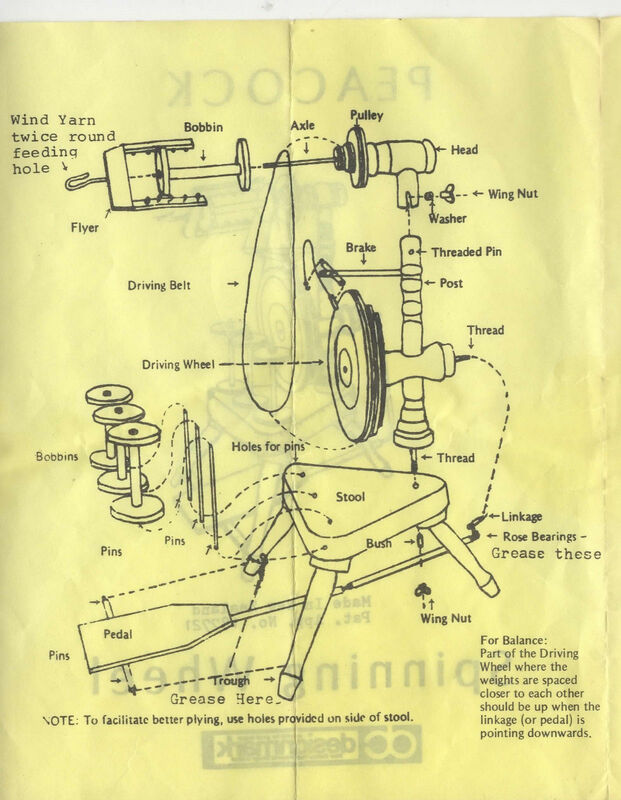 A list of the parts of the Fomotor Peacock can be found here. More Peacock instructions page 1 can be found here, page 2, page 3 and page 4. Can bobbins be purchased anywhere? I need replacements for my Peacock, as it only came with one bobbin. 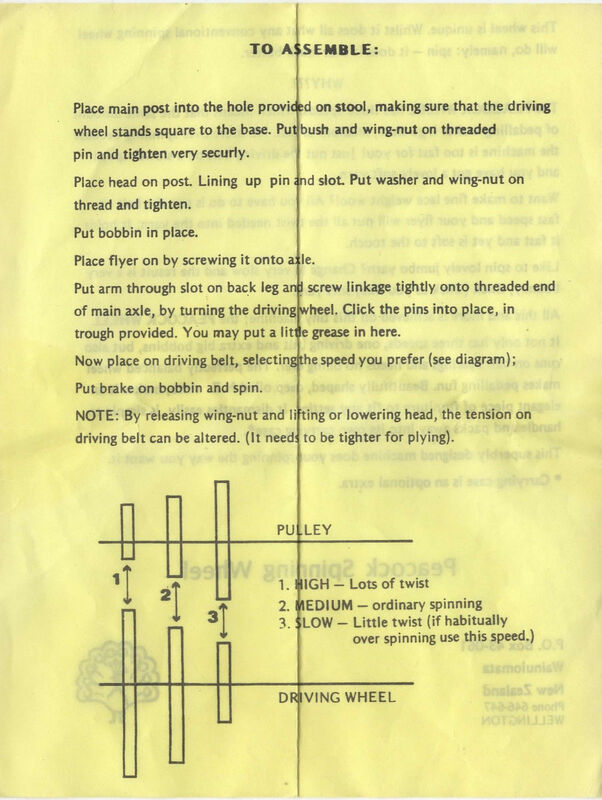 One more question–any ideas on where I might be able to purchase a drive belt for a Peacock Traditional wheel? Hi Lana, I use kitchen string for my drive belts and this is what most people use. So long as it is 100% cotton it should be ideal as it doesn’t slip. Jute string can also be used. 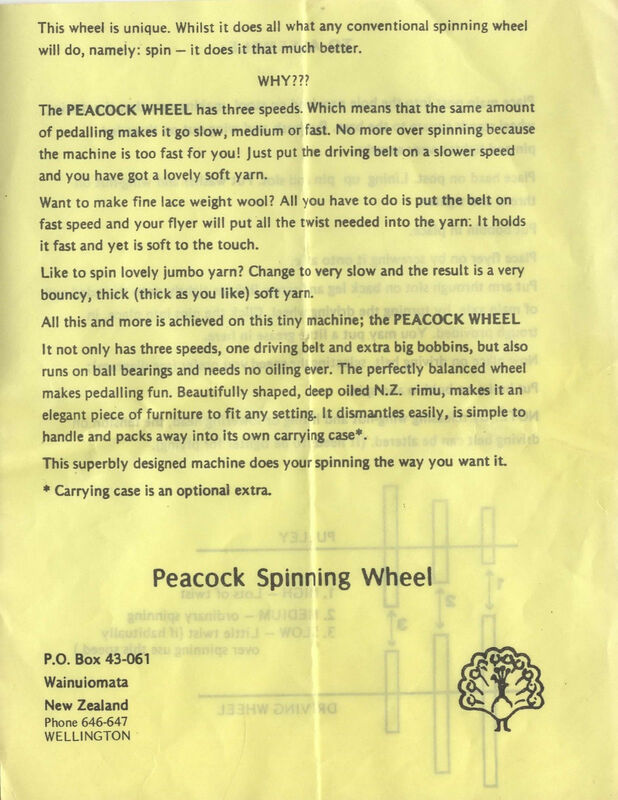 HI DO YOU KNOW WHERE I CAN GET A TENSION PEG FOR MY PEACOCK WHEEL? I love this wheel and wouldn’t trade it in for anything. These wheels aren’t made any more so spare parts are probably not available. A good woodturner would be able to make a tension peg. Good luck!